2. 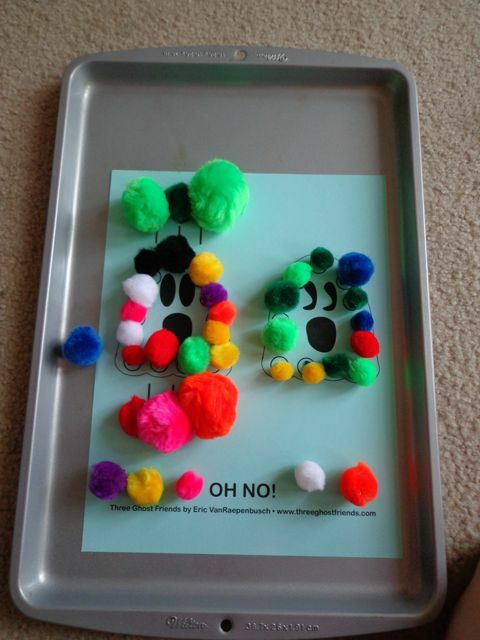 Cut magnetic strips into tiny pieces to fit on pom-poms. 3. Peel off paper backing and apply magnets to pom-pom. 4. Place one activity sheet on cookie sheet. 5. 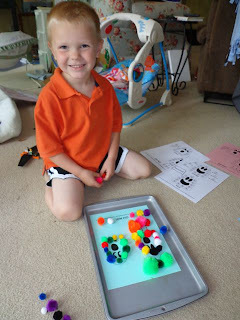 Child will place pom-poms on the circles. I made three different sets of activity sheets to meet many different learning levels. 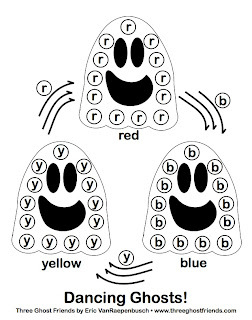 This set of activity sheets has color words and letters inside the circles to represent the colors. 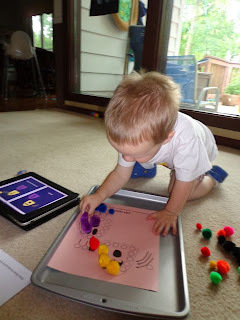 The child will use the letters and color words to place the correct pom-poms. (Click Here to Download). 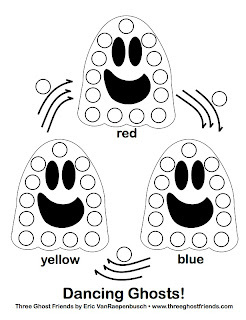 This set of activity sheets has only the colors words and the circles are empty. 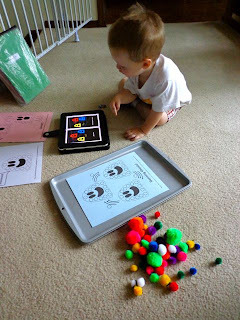 The child will read the color word to place the correct pom-poms. (Click Here to Download). 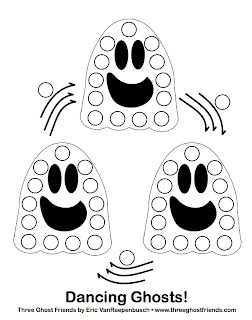 This set activity sheets does not have color words and the circles are empty. This allows the child to place any color pom-pom of their choosing. (Click Here to Download). 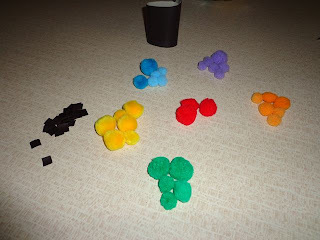 Tiny pieces of adhesive magnetic strips and pom-poms of the primary and secondary colors. 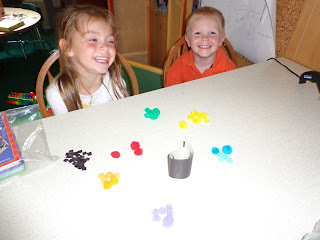 I needed my two oldest children to help with the pom-poms because our magnetic tape was old and had lost its stickiness! We used a hot glue to adhere the magnets to the pom-poms. 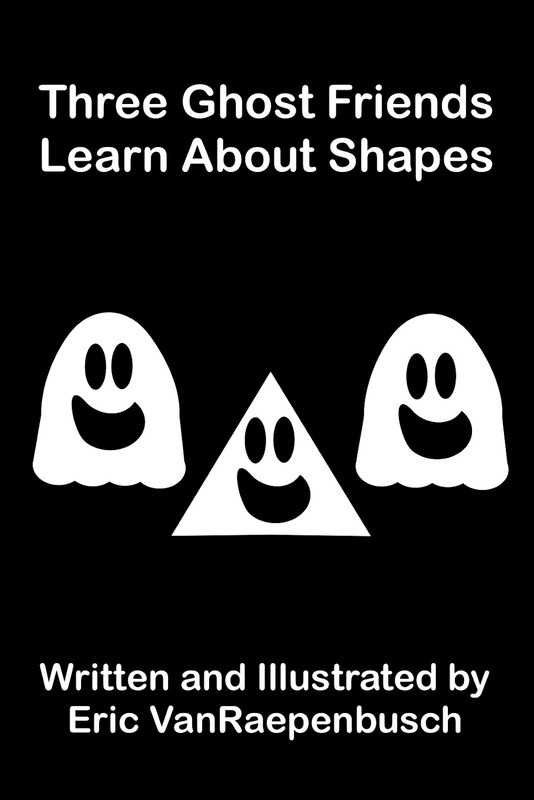 I experimented with the different activity sheets. My kids preferred the activity sheets without color words and with empty circles. 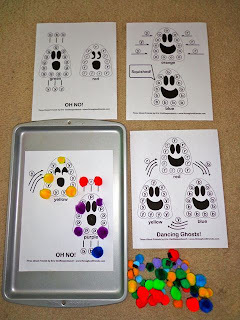 My two-year-old son and I read the Three Ghost Friends e-book and used the page from the book that matched the activity sheet to help add the correct pom-poms. Many of the activity sheets allowed us to talk about the color mixing that happens in the book. In this picture, my son was telling me that the wind blew the blue ghost on top of the yellow ghost and they turned green! My four-year-old son got home from preschool and he liked creating his own designs. He was quite pleased with his work and I promised him that I would put a picture on the blog. 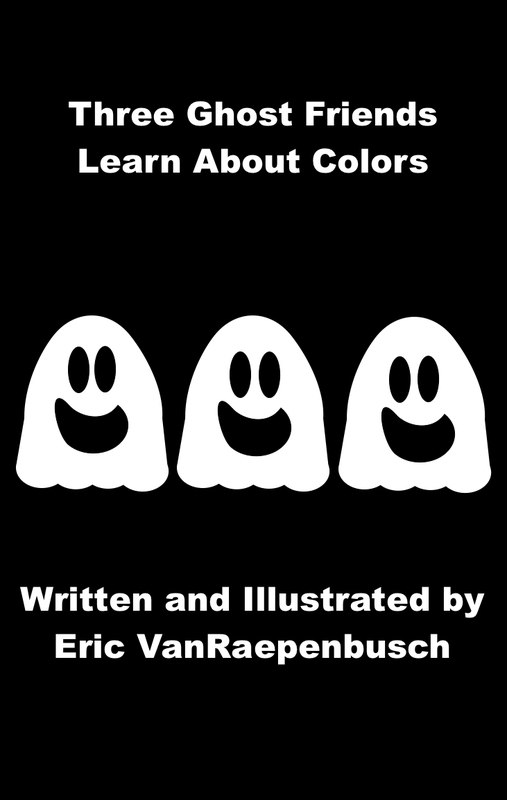 This activity was designed to be used along with Three Ghost Friends: Learn About Colors. CHECK OUT MORE FREE PRINTABLES on the ACTIVITIES PAGE! 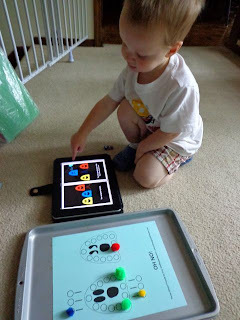 This post was added to the Living Montessori Now Link-up! Yeah for magnets, yeah for magnets on ghosts! Yay for visiting my blog! I appreciate it!